In this article I discuss online sports betting from the United States stating with the basics of how depositing (known as “posting up”) works and how to deposit and get paid. I also touch on the various ways to bet sports such as point spread, moneyline, totals and props plus I cover the current legal landscape. Prior to getting to all this, I must warn not all betting websites are reputable. If you’re in the United States the sportsbooks listed below this section are in my opinion the safest to use. In case you’re brand new to sports betting I’ll quickly explain that online betting works on the post up concept. In gambling there are generally two ways a bettor can wager. The first type is known as post up betting and this is where you simply fund an account and all your future bets are debited from your account balance. Once your account balance is 0 you need to redeposit in order to make new wagers. The other form of betting is credit betting, something that is more commonly found in Asia. With credit betting you’re bets are taken on credit. Win and you can have your winnings delivered to you, but any losing bets will need to be settled with an agent. With regards to post-up let’s say for example purposes your account balance at TopBet (our #1 rated sportsbook) is $1000. You then make a bet on the New England Patriots risking $220 to win $200. When doing so, immediately $220 is deducted from your account balance bringing the new balance to $780. If the Patriots then win the $220 stake is returned to your account and the $200 in winnings are added bringing your balance to $1200. In short, you can only bet what is available in your account. This means to get started you need to make a post-up deposit. Easiest site for depositing and also offer the best bonuses. Highly safe and trustworthy book with more than ten years industry experience. Offer odd earlier than most books and lead the way with live betting options. Provide lower juice than most other US books but not as many perks and promos as our top 3. There are several ways for US residents to deposit to online sportsbooks. Note that VISA credit and debit cards are the most popular options. Most betting sites do not accept MasterCard deposits. If all you have is MasterCard you may need to use one of the alternative methods covered below. Person to Person (P2P) – This method involves sending cash via Western Union or MoneyGram. This can be done at most supermarkets or your local Wal-Mart. To start, contact the sportsbook you’re using and ask them for WU or MG transfer details. They will tell you a name and city to send to. You then contact them back after making the transfer with the Money Control # and the amount sent. In 15-30 minutes they will credit your account with the amount transferred. At most sportsbooks if you’ve transferred over a certain amount (Generally $250, $300 or $500) they will also add the fee the WU or MG agent charged to your account balance. Money Order Deposits – This method is only available at a limited number of online betting sites. www.5dimes.eu and www.betonline.ag are two offering this method. They will give you the address to send United States Postal Service Money Orders to. You send these off by courier and then provide the sportsbook the tracking number. Within 30 minutes of the package showing delivered on the couriers tracking website they will add both the deposit amount and courier fee to your online betting account. Prepaid VISA Cards – These are sold in supermarkets and can be used online just like any other VISA card. Note that 90% of the cards sold are not approved for international transfer. It is important you purchase one that is. If you live near Walgreens this is one major chain I know of selling these. Ask the clerk to confirm international transfers are allowed or check the back of the card. At any time you want to cash out some or all of your account balance, visit the sportsbooks cashier to request a payout. For US players there are several different payout methods. The most popular option is P2P transfer from Western Union or MoneyGram. The fees for this are a bit expensive but it is the easiest way to get cash out of a sportsbook the same or next day. 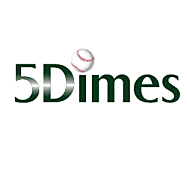 www.betonline.ag and www.5dimes.eu both offer same or next day P2P payouts. Bovada.lv only offers this option to players who made their last two deposits with the same method. Bookmaker.eu offers this option but it can often take a week to get paid. An option cheaper than P2P transfer for payouts is paper check. www.bovada.lv is the fastest at processing checks. Their check payouts take about a week to arrive. Due to UIGEA, a law which makes gambling payment processing a federal crime, check payout times are often backlogged. It can sometimes take a while to get paid. For BetOnline.ag I suggest only ever cashing out with P2P as checks are notoriously slow and P2P is same or next day. At the other sites listed on this page you’ll often get paid in 2-4 weeks when requesting a check payout. There are other options available to VIP players with high turnover. These include assistance with opening foreign bank accounts, debit card options and even e-check. If you’re new to sports betting it will take a while before such options become available. New players are mostly limited to P2P and check withdrawals, of which P2P is the fastest payout method. Now that you’re aware which sportsbooks are reputable and how to deposit and get paid, I’ll briefly discuss the various ways there are to bet sports online. If you click any of the links provided in this section you’ll be led to more detailed descriptions which often include sports betting strategy. No matter if we’re talking NFL, NBA, NHL, MLB, college football or college basketball betting, or any other sport for that matter, there are several available betting options. These are covered in the section below, and you can click on the header links to get more detailed explanations. Moneyline Betting – This is a wager on which team or player will win a match. As one is often favored over the other $100 staked on a good team or player returns less than $100 and $100 staked on a poor team returns more than $100. This is all explained on the link just provided. Point Spread Betting – A very popular option for NBA, NFL, college basketball and college football betting is wagering with a point spread involved. This is done to create much closer to a 50/50 wagering proposition. To give an example, when betting NBA online let’s say the New York Knicks are -3.5 vs. the Los Angeles Lakers +3.5. In this example the Knicks are a 3.5 point favorite. If the Knicks win by 4 or more those who bet on them are winners. If not, those who bet the Lakers are the betting winners. Total Betting – With this wagering option the bookmaker makes a prediction on the total number of points that will be scored by both teams combined. This is called the posted betting total. Bettors then make wagers on either under the posted total, or over the posted total. The three options just covered are the most popular ways to bet sports. There are however many additional options such as prop betting, teasers, pleasers, parlays, action reverse, if bets, and many others. Links to articles explaining all these additional types of wagers can be found on our page titled: Sports Betting Online. Let me first address that our professional leagues are immensely popular globally. This has a lot to do with foreign-born athletes from various sports growing up with the dream of someday making the NBA, NHL, or MLB. For basketball Dirk Nowitzki (Germany), Pau Gasol (Spain), Tony Parker (France) Manu Ginobili (Argentina) are a few of examples of the NBA’s many foreign-born stars. For baseball about 29% of MLB players are foreign born. For NHL hockey about 27% are born outside of North America with Sweden, Czech Republic, Russian, Finland and Slovakia the largest contributors. These leagues, as well as the NFL, are broadcast globally and are hugely popular for betting. Many Americans might find it interesting to discover China, Singapore and Japan have state owned bookmakers their citizens can use to bet American sports online. One Canadian province offers the same while other provinces take parlay bets in person on NFL, MLB, NBA, NHL, MLS and college sports. Much of Europe has legal online betting as does Mexico, Philippines, South Africa and Australia. All around the world fans are legally betting on US sports at websites based in their own country. In the US however we’re mostly limited to using the websites of foreign bookmakers due to our strict laws against bookmaking. 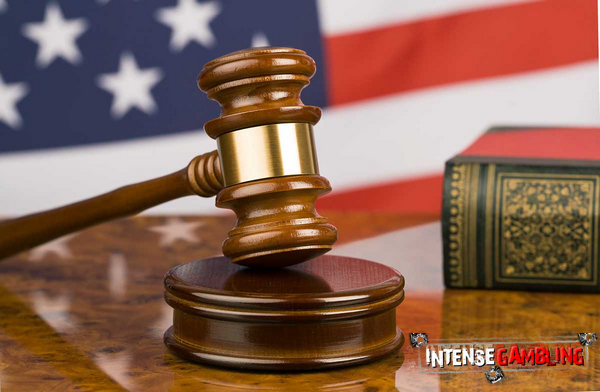 There’s a common misconception that online betting is illegal in the United States. This is simply not true; every state has its own laws. In Washington State online betting is a felony. In a select few states it is on the books as a misdemeanor but no one has ever been charged. More than 40 states have no law at all regarding players placing bets. The confusion comes from the fact bookmaking is a federal crime in all states accept for Nevada. This is best explained as: it is legal to place bets, but the person or company accepting the bet is committing a federal crime. Again, there are no federal laws that prevent Americans from using foreign online betting sites or even local bookies. The Wire Act addresses only those “engaged in the business of betting” and it has already been clarified in courts that this applies only to bookmakers NOT players. There is also the Unlawful Internet Gambling Enforcement Act (UIGEA) which was signed into law in 2006. This law involves financial institutions and payment processing. It has no bearing on the legality of players making bets. Understand that the US Department of Justice (DOJ) considers the betting websites I recommended at the top of this article to be in violation of US gambling laws. They however have no jurisdiction over them as they operate legally outside of the United States. The idea of the US accessing them is as silly as if a foreign authority wanted an American extradited for lèse majesté (making negative comments about their king). You can’t extradite when the alleged offense is not a crime in both countries. These bookmakers are all legal and licensed where they operate and are the safest way for Americans to bet US sports.